I can’t believe that I have lived in Soddy Daisy for over 20 years and have never eaten at Home Folks Restaurant! Being a pseudo food blogger at Sidewalk Shoes, I look at restaurants the way I look at recipes, must always find the latest, greatest thing. But when my stepson was coming into town on a Wednesday evening and I didn’t have time to cook, I remembered Home Folks Restaurant. 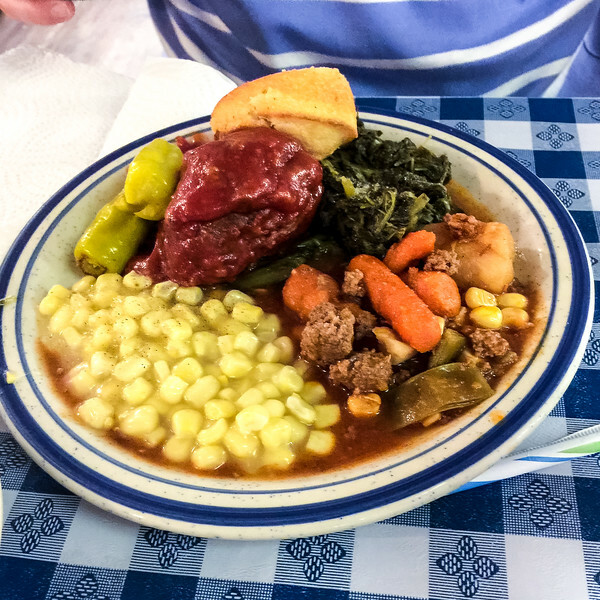 I had heard so much about it, about how the unassuming homey restaurant had some of the best country cooking around. We got there a little after 6 on a Wednesday evening and there only a couple of open tables. Always a good sign. By the time we had begun eating, it started to thin out. Obviously this place attracts an early eating crowd. I have no idea how much the buffet costs, we weren’t given menus, I don’t even know if they have menus. I was already gazing with rapt adoration at the fried chicken. A waitress showed up almost immediately, took our drink order and told us to help ourselves. My plate is the one with the fried chicken, macaroni and cheese, green beans, and mashed potatoes with gravy. Total comfort food and totally delicious! 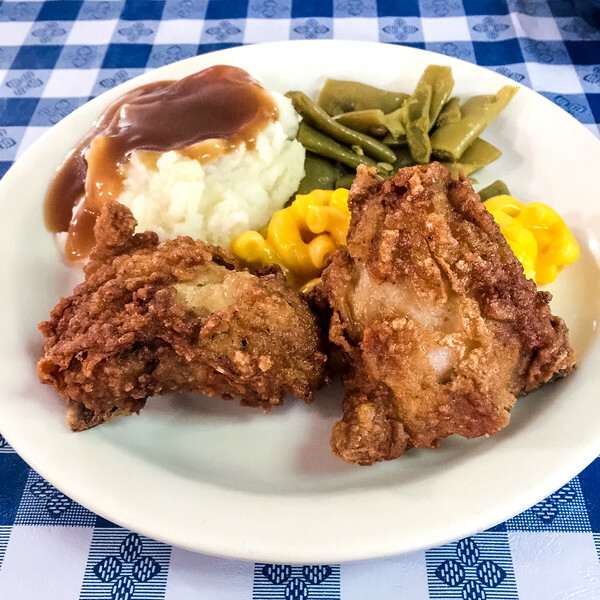 The fried chicken was crispy and moist on the inside, the mac and cheese yummy, green beans cooked the way grandma used to and the mashed potatoes and gravy were as good as they looked. My stepson got the stew, corn, greens, meatloaf, and a cornbread muffin. I don’t know what my husband got, the fried chicken was calling my name and I put my camera up. I finished off with peach cobbler and banana pudding. So, let’s recap – fried chicken, mac and cheese, green beans, mashed potatoes and gravy, peach cobbler and banana pudding. Obviously I can not make this a regular place, if I want to still fit in my jeans. However, when I need some good old home cooking and I don’t want to do it myself, I will be a part of that early crowd! Home Folks Restaurant is located at 8961 Dayton Pike, Soddy Daisy, TN. Hours 11-8 Tues thru Saturday and 11-3 on Sunday. Phone – 423-332-5724. Yummy! It looks delicious! I have the same thoughts, always discover new places and great opportunities to enjoy some time and a delicious food.